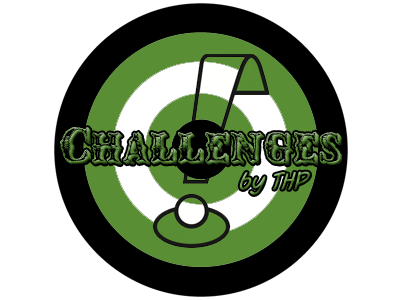 New for 2014 is something that THP calls “Challenges”. It involves, THP challenging you to complete a task and if done, you could win a prize. The first challenge is something that we think will be a lot of fun, a bit of a struggle and in the end make us all better golfers. One lucky THPer that completes this challenge will win a flatstick from the THP Vault. Could be just about anything, but we know you will love it. No it has nothing to do with three putting, but rather making 3 consecutive putts. That is it. You are hereby challenged to make 3 ten foot putts in a row. The challenge must be caught on video from beginning to end. There are no cuts allowed in the video and no editing. You can try as many times as you like of course. It can be on the course, on a putting green, on the carpet in your house. As long as there is a cup (or glass, or beer mug) and you are 10 feet away, it counts. This is amazing, time to set it up and catch it all on video. Going to have to be inside as there’s snow still on the ground here! The weather here has been terrible; time for some indoor putting! Great first challenge! Especially with the local weather that we’re having.